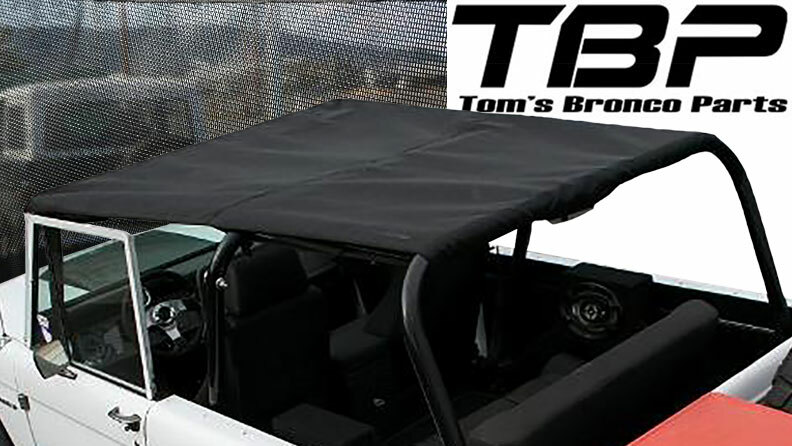 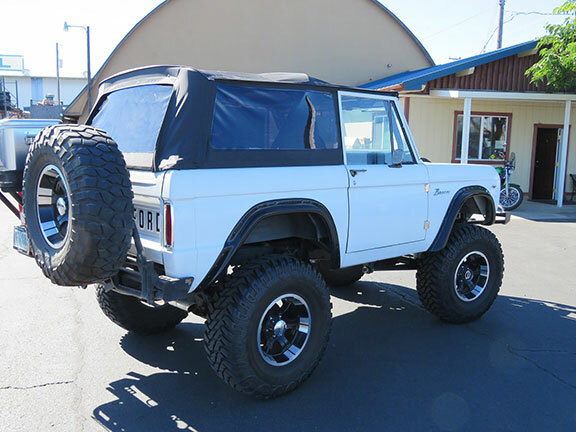 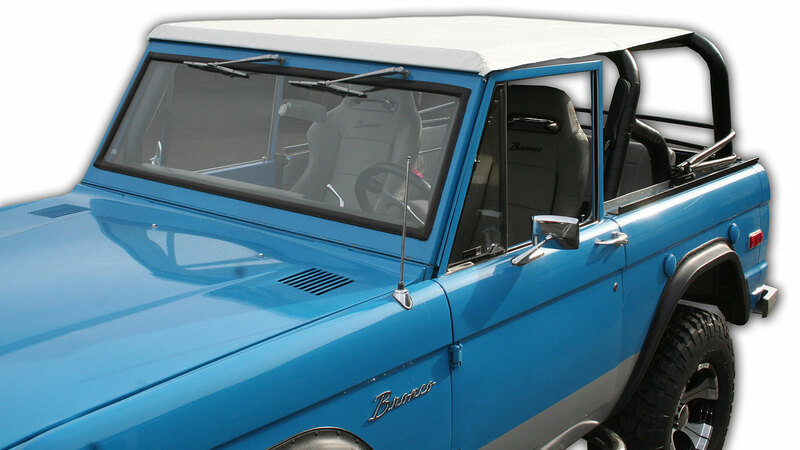 From stock Early Bronco Hard Tops & components to Canvas Soft Tops and Bikini Kits, Tom's Bronco Parts has just what you need. 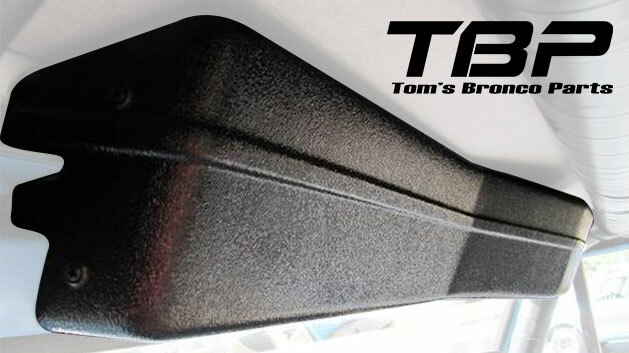 Offering the best quality parts at the best prices is our specialty. 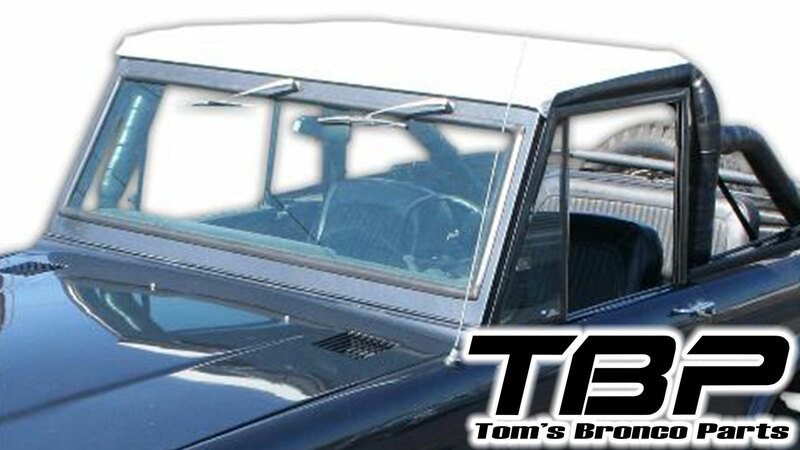 Our Roll Bar Top Kits for 66-77 Ford Broncos are the best on the market. 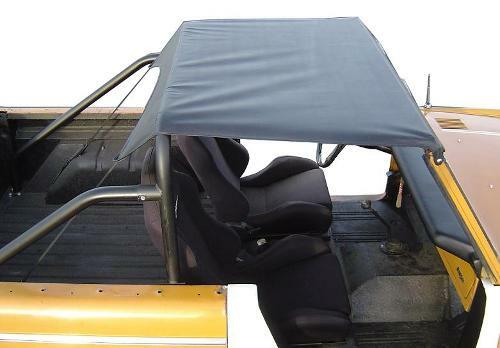 Following the traditional design of the old Kayline and Specialty Top kits, our rollbar tops utilize a wiper motor lowering bracket (included) which allows for a shorter front channel/riser combination than that of the Bestop Bikini Kits and similar other roll bar tops. 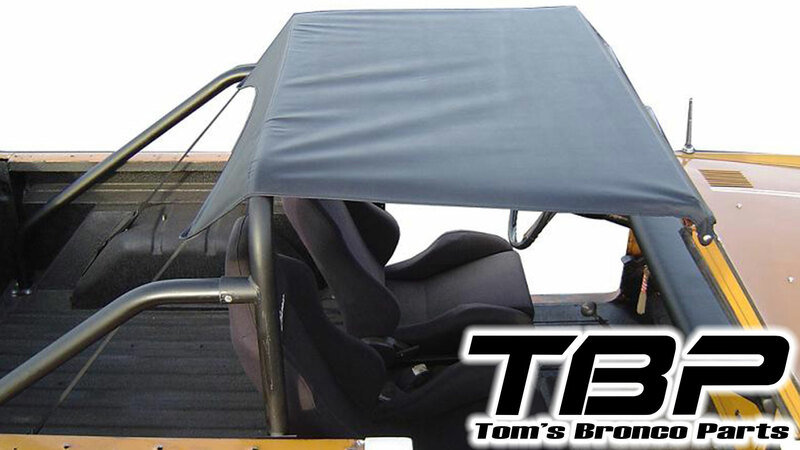 This provides for less wind drag and a much cleaner look. 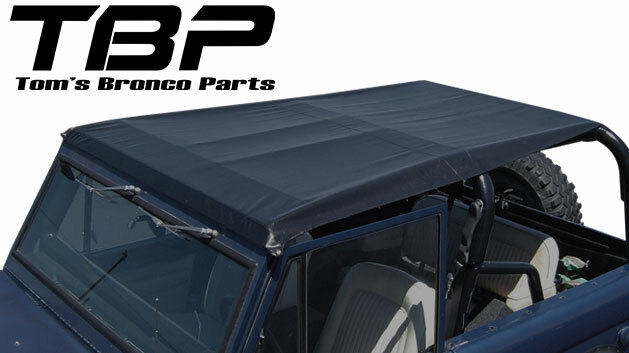 Our Early Bronco Roll Bar Top Kits also use the same hardware as our Soft Tops, so the two can be used in conjunction with one another without a need to change the mounting hardware when switching back and forth. 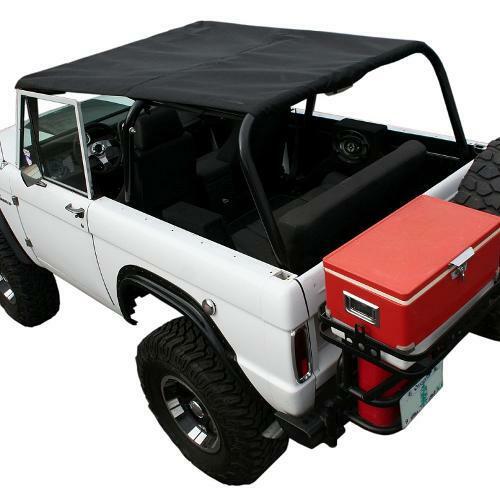 Our 66-77 Ford Bronco Soft Tops are designed to install into your early Bronco with minimal effort and to provide maximum convenience. 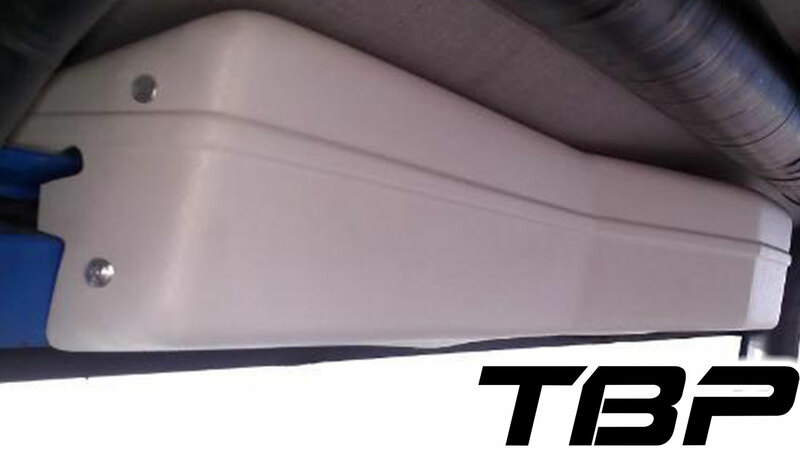 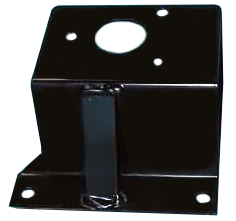 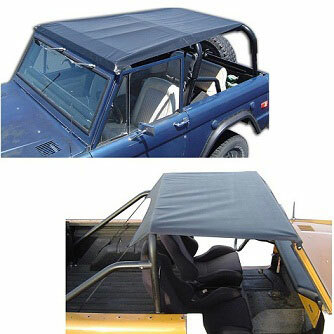 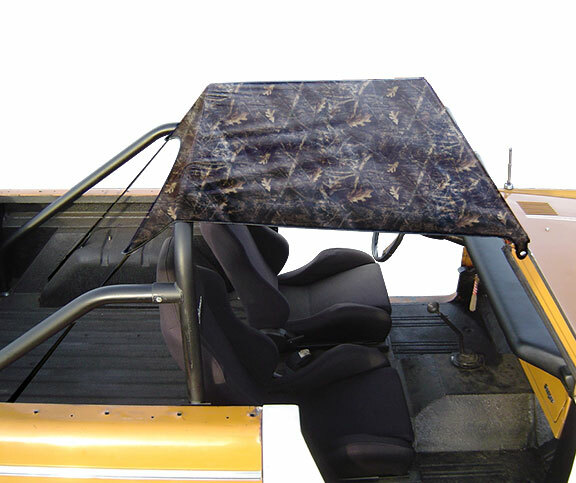 These Soft Tops feature a mounting system that utilizes the factory hard top mounting holes and only requires a few small holes to be drilled for the tailgate and door frame mounts. 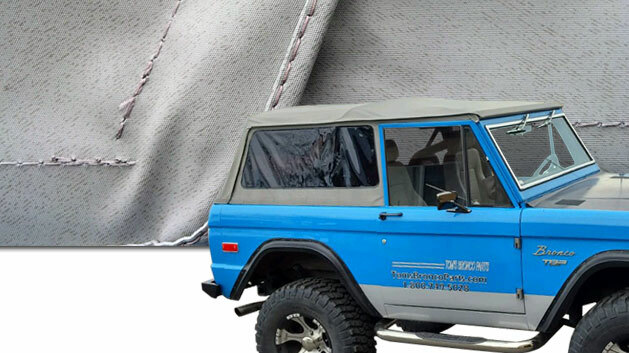 The material is a durable denim-weaved vinyl which withstands the elements much better than traditional crush vinyl soft tops. 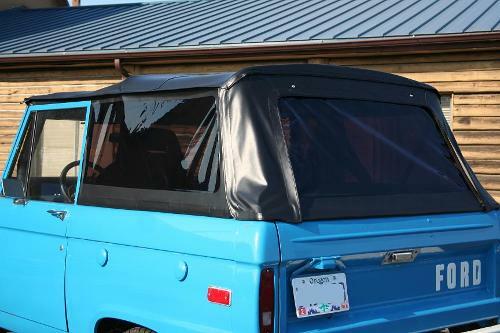 Also, the side and rear windows can all be zipped out to run the Bronco top safari style during the hot summer days providing open air comfort and plenty of sun shade.